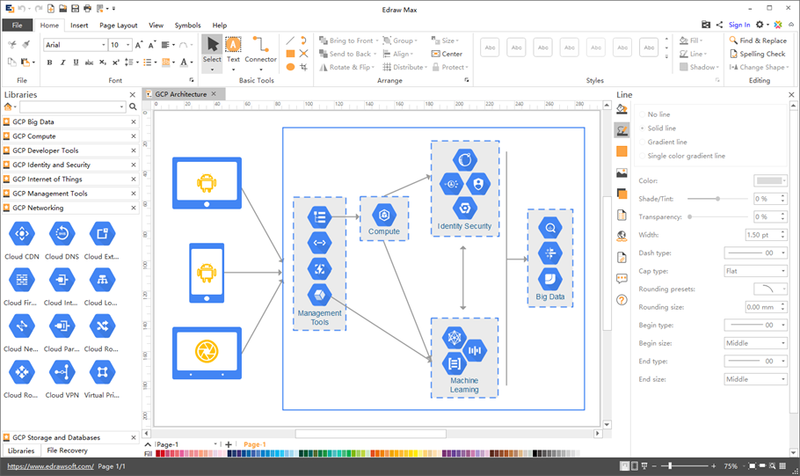 Google Cloud Platform diagram software for Mac offers you the great change to create professional-looking and high quality GCP images on OS X via various features. If you are looking for awesome Mac Google Cloud Platform diagram software, here is a great budget free option for you. GCP diagram software offers lifetime license with a lower price for our users. Furthermore, you can choose from a considerable amount of pre-set elements. 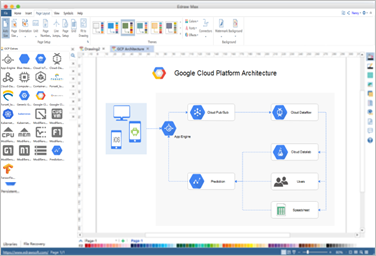 Edraw has been known as a top recommended Google Cloud Platform diagram software for Mac system consumers. The GCP diagram software has a large amount of GCP icons including GCP Networking GCP Storage, GCP Big Data, GCP Management Tools, and GCP Compute. All of these GCP categories are welcomed by both GCP beginners and experienced users. You can also edit the existing GCP symbols, or create your own ones. 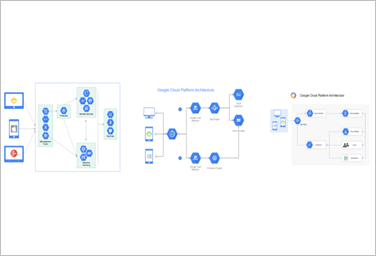 You can stylize your GCP diagram via a wide range of tools and features. Feel free to switch background or watermark quickly, or change the style of connectors. Moreover, you can insert notes, comments, attachments, external links, and add your local pictures. Setting pages to your multiple tasks are also very easy. The software offers you pre-set GCP diagram templates to assist you to start quickly. The templates also contain pre-made GCP diagram icons for you to boost efficiency. All these templates are editable so feel free to add your own texts, resize shapes, or change colors to produce your GCP diagram. Your Ultimate Google Cloud Platform Diagram Software for Mac! 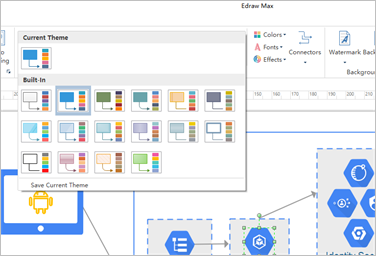 Enjoy creating GCP diagrams on multi-platforms with user-friendly features of the software. You'll be surprised by its abundant design icons, editable templates, easy-to-use interface, good consumer service and budget price. Have a trail now!